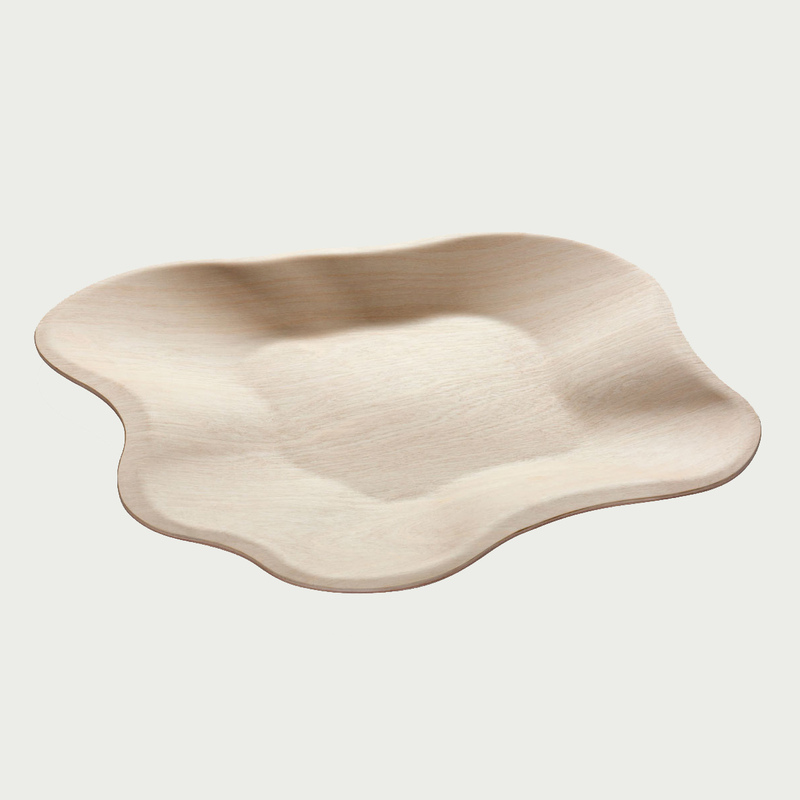 A beautiful continuation of Finnish tradition, the iittala Aalto 20” Plywood Bowl carries the same timeless shape as the Aalto vases and trays. The birch plywood is a natural fit to the fluid shapes, unique in its grain and smooth in its lightly-lacquered finish. The shallow bowl is meant to stand on its own as art object in any interior, but is also a special way to serve dry foods like nuts, candies, crackers or bread. Care: Damp wipe only. After some years, the color may change due to the nature of the wood.